As Paul concludes the letter to the church in Colossae he packs in more instructions on living for Jesus. Paul has a unique way of sharing a deep amount of spiritual truth in a few short sentences. Paul begins by addressing a thriving prayer life and moves to encouraging the church to make the most of every relationship they have. He transitions to introducing the men who are serving alongside him in the ministry of the gospel. In his words you can see his care and compassion for each man. You can see how much he cares about investing in others and not doing life in solitude. 1. Neal began his sermon by sharing about the unique opportunities that were presented to Steve Jobs and Bill Gates. What unique opportunities have come along your path that brought you were you are? 2. In Colossians 4:2, Paul writes about having a devoted, watchful, and thankful prayer life. Read 1 Thessalonians 5:17-18, Philippians 4:6, and Luke 18:1-8. What do these passages teach us about these characteristics of our prayer life? 3. Paul longed for the church in Colossae to have an impact on their community (read Colossians 4:5-6). He spoke about their actions and words. Read James 1:22-26 and Ephesians 4:29. What impact do your words and actions have on the people who are closest to you? 4. How can we walk in wisdom towards people who don’t know Jesus? 5. Read Colossians 4:7-15. Identify each person in this list that Paul mentions and take some time to talk about each man. What characteristics of these men do you want to be known for in your life and what do you need to do to make that happen? 6. Epaphras was the one who started the church in Colossae (Colossians 1:7). Now at the end of the letter we learn more about his life and ministry. How can looking at his prayer life help you grow in the ministry of prayer? 7. Paul closes the letter by offering grace to the church. Grace is getting what we don’t deserve. Where else in Scripture have you read about grace and how can you be gracious to others? 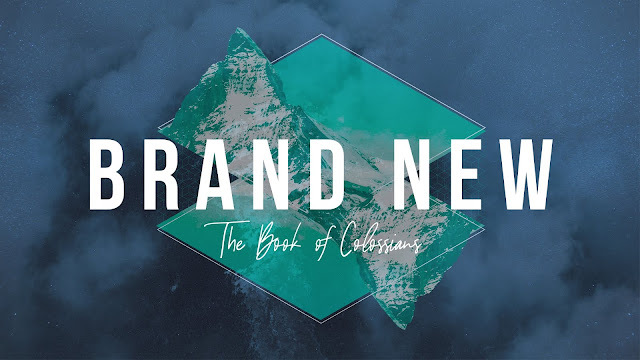 In Colossians 3:18-4:1, Paul wrote about reshaping the Roman household. In these verses Paul is going to be really practical and shows the Colossians what this new humanity can look like in their homes. The Roman household was a highly authoritarian household. That means the father would lead with an iron first. He held power over all who lived under his roof and would do as he pleased with those people. Paul is going to show us that the home led by Christ is much different than what they grew up in and have experienced to this point in life. What Paul writes here was so counter-culture to the Roman world that most of them would have had a tough time understanding this. 1. Neal shared about the Stanford Prison Experiment from 1971 and what happens when you put good people in an evil place. When have you seen group evil take place or someone allow power to go to head so their actions hurt others? 2. In Colossians 3:19, Paul commanded husbands to love their wives. Read Ephesians 5:22-33 to get a greater understanding of what Paul was encouraging husbands to do in their home. How can husbands fulfill the responsibility Paul lays out here? Who are some Biblical examples of a husband that men can emulate? 3. As Paul continued to reshape the Roman household he instructed fathers on how to treat their children (read Colossians 3:21). Read 1 Thessalonians 2:11-12 and Romans 8:14-17. How can we apply the God treats us as children to our children? 4. Some women have a husband that is easy to submit to and others might be more difficult. Read Colossians 3:18 and discuss how a wives submission to her husband is in direct relationship to her love for the Lord. What Biblical examples submission can you think of? 5. Paul directed children to obey their parents (Colossians 3:20), it seems like a direct quote from Exodus 20:12. Why do you think this is the only commandment, of the Ten Commandments, with a promise attached? 6. How can parents encourage their kids and not embitter them? 7. Pauls peaks of relationships between slaves and masters. How can you serve those in authority over you with the end goal of helping them know Jesus?